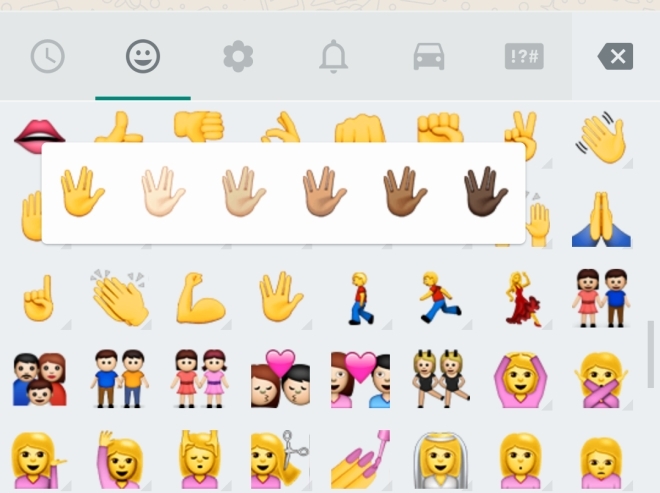 Among other updates by WhatsApp for Android, the most distinct is the skin tone variation for various existing emoji. 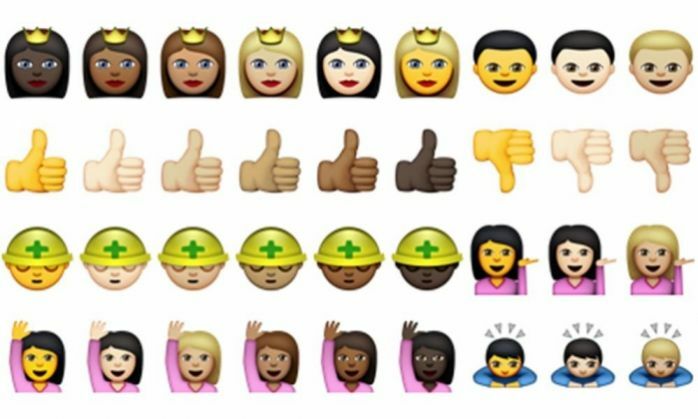 The newly introduced skin tone variations for many emoji update clearly hints on racism by none other than WhatsApp. So whenever the users press for long on the hand emoji or any other one they can find them in pop-ups. Apart from this awfully racist update, WhatsApp has released numerous other updates for Android. It might be suffering outrage for other reasons, but there are some useful new features giving the users better control over notifications from individual contacts. In a post The Next Web says, the update has added the ability to customise/change the read status for all users. Users can now mark the message as read or unread, when they press for long on a conversation in the Chats list. However, this feature will not affect the read status on messages within the user's conversation. It is only there to make it easier to spot or ignore them. Apart from other interesting features, the users can see fresh options for custom notifications when they open up a conversation and tap View Contact. There are many quick add-ons like settings for vibration alerts, lights, pop-ups and audio tones. This will make it easier for the users to spot messages from important people without having to unlock their device. With the new update, users can also put conversations on mute individual contacts for default periods like with group chats. Also, the latest version brings a choice in the Chats and calls menu to reduce data usage while making calls.